The Summer season is the season for entertaining. The warm, sunny weather definitely has me wanting to bring a bottle of wine, some cheese and crackers and sit outside hanging out with friends. My love of Summer entertaining has me on the hunt for some fun pieces for outdoor entertaining. I’ve been checking out Pinterest to find pieces that are super stylish and unique and I ran across a whole bunch of really amazing DIY serving trays that are simple to recreate. I just felt that I had to share. They make an awesome weekend project. 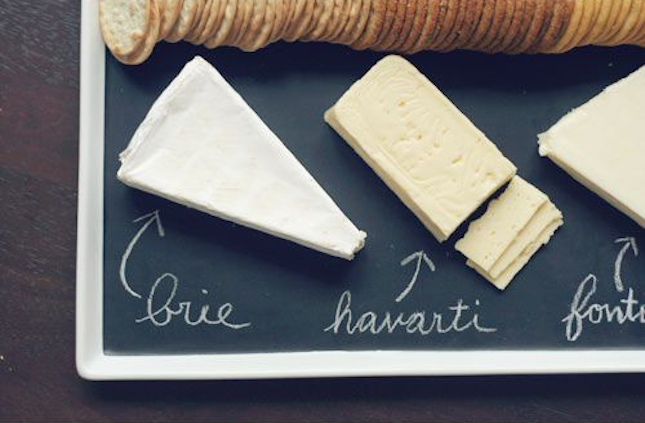 Chalkboard Serving Platter (via Wit & Whistle) – The perfect tray for serving a large array of snacks for a party. I love the idea of being able to write a little label next to each snack to let guests know what they are. I mean for all the odd snacks and appetizers, it’s definitely good to know what you’re eating before you dive in. Plus, the little chalkboard labels just give it some style. 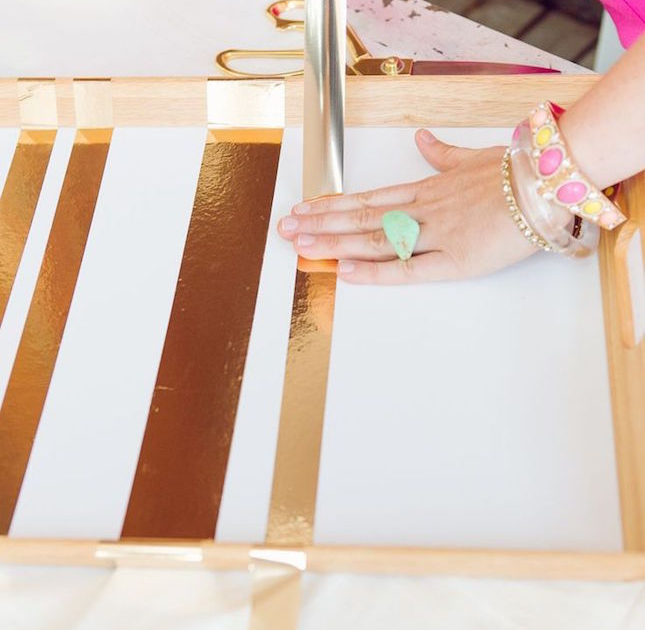 DIY Gold Striped Tray (via The Every Girl) – If I ever want to go a bit fancier, I’d definitely start with this gold striped tray. All you need is an ikea tray and some fun gold, shiny tape and you’re in business. 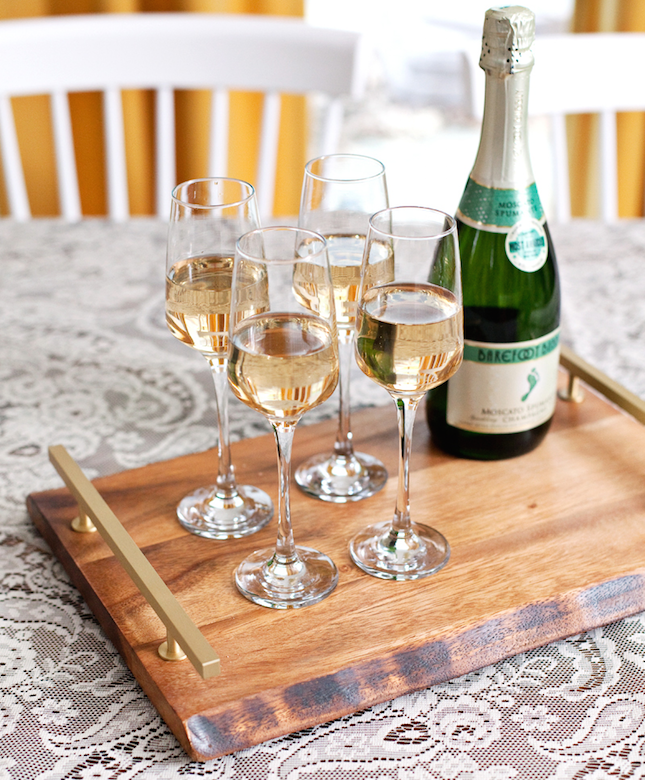 DIY Marble Tray (via Pennies for a Fortune) – I am totally enamored with this marble tray. 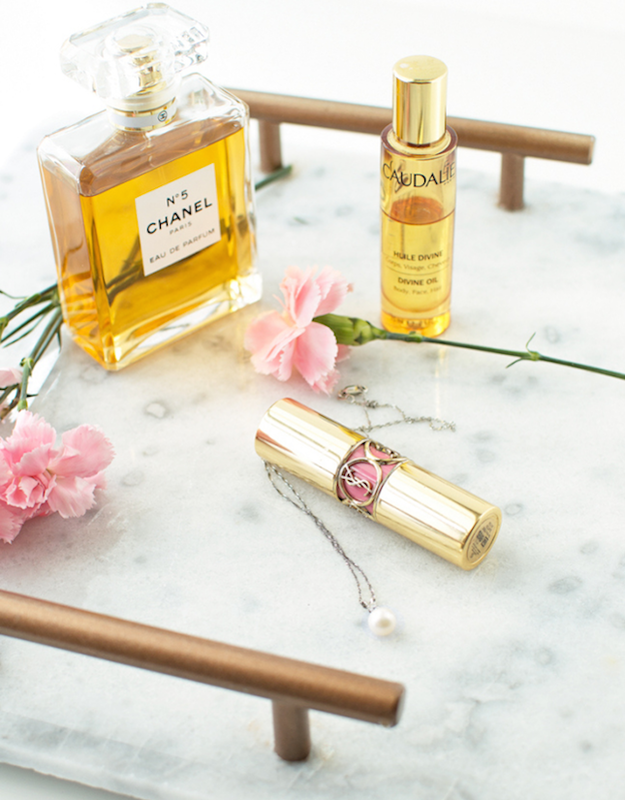 As fas as elegant makeup trays go, this one totally takes the cake. DIY Wooden Tray (via A Beautiful Mess) – I love that this DIY takes a cutting board to a whole new level by adding a couple of drawer pulls. So simple, it can be done in just a few minutes! 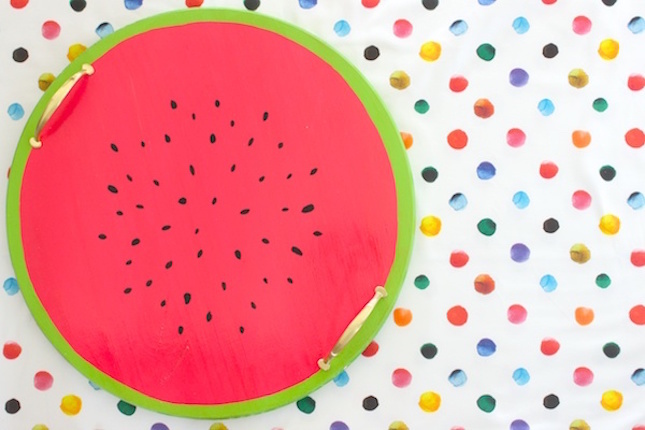 DIY Watermelon Tray (via Oh So Beautiful Paper) – This tray is absolutely perfect for any Summer party. I love seeing the fruit trend everywhere during the warmer months; pineapples, watermelons and lemons, oh my! I so want to create a bunch of these and paint them each a different Summer fruit. All of these trays have got me itching to make one of my own. Which one should I try? Share with me in the comments below! They all look great but I think I like the chalkboard one the best – thanks for the inspiration! Love all of these. I agree with Heather Meads. I like the chalkboard one the best! I love the chalkboard serving tray! These are great. I love the chalkboard serving tray the best but the gold striped tray would be so perfect in the bedroom for jewelry. I love the chalkboard tray! They all are pretty neat though! Thanks for sharing! These are super beautiful! I love them. I love the chalk board look! It looks great and amazing for labeling. Hahaha! Hurray for carbs and dairy (crackers and cheese!!) Definitely love the chalkboard platter esp. if you have an item that is new to try for guests! !